Brands in the consumer packaged goods industry are vying for attention from not only consumers but also retailers. Winning over the consumer and the retailer go hand-in-hand. You must be on the shelves for consumers to find your product, but you must also have proven success with consumers and insight on trends to convince retailers to take the risk of carrying your product. Even once your brand has established relationships with retailers and loyalty with consumers, trends and preferences are ever evolving. You must innovate and adapt to make sure you remain at the forefront of your category, consider how to obtain cross-category appeal, or even decide to branch out into a new category. 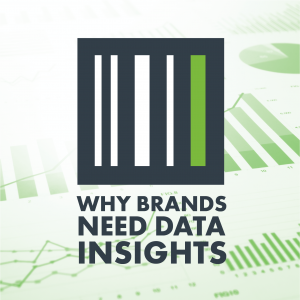 Effective data-driven insights can help you not only get your product on the shelves but also maintain and further your presence. Insights allows you to manage your business efficiently and drive maximum sales performance. Impact Group has an entire department dedicated to data and analytical reporting. Through our proprietary software solutions, we help make the management of your brand a streamlined and meaningful process. We also work with data source companies such as Nielsen, Whole Foods Portal, Sprouts Portal, SPINS, Market6, 84:51, Apollo, and Mintel. Although brands may have direct access to these data sources, often personnel are not available to devote the time to proper and in-depth analysis. These brands have already been convinced about the value of data, yet they need assistance putting it to proper use. Our analysis has seven areas of focus to give you various views and perspectives of how your brand is performing. Trends – emerging categories, products, ingredients, manufacturing processes, etc. All this data and information can seem overwhelming, and it is hard to know where to begin. Thankfully, Impact Group not only provides access to data but also analysis of this data. We do the work of turning raw data into customized, user-friendly reports sliced into custom time frames in the current 104 weeks, down to one-week periods. Reports provide recommendations at the brand, item, and category level. These reports can be used for internal purposes or for meetings with retailers, big and small. Today, it seems like a no-brainer to use data in the grocery industry, yet so many brands and retailers are not taking advantage of this asset. As a sales and marketing agency with years of experience representing brands in both national and independent retailers, Impact Group has always been progressive in our focus on innovation and technology. Therefore, for our brands, we are consistently using data insights and analysis to grow and adapt in an ever-changing market. This allows us to pay attention to changes with consumer trends and retailer expectations and adjust accordingly. By using data insights and analysis, Impact Group can guide the brands we represent in the right direction to maximize growth and profit, as well as appeal to both retailers and consumers. Interested in learning more about Impact Group’s Insights services? Visit www.impactgrp.com/services/insights.